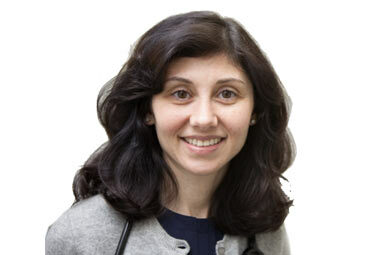 With extensive expertise in the fields of immunology, asthma and allergies, Anna Kochin, MD, helps her Brooklyn patients overcome weakened immune system issues. Your health and well-being are her top priorities, so she does everything in her power to relieve your symptoms and treat the underlying causes. She often recommends lifestyle and diet changes as part of her treatment. She wants you to understand that the easiest strategy in dealing with allergy symptoms is to avoid whatever’s causing your allergic reactions. Dr. Kochin received a Bachelor of Arts degree in Psychology from Boston University. Then she earned her Doctor of Medicine degree at the Ross University School of Medicine. She been practicing medicine since 2004. She’s given numerous presentations and collaborated on research projects in the field of immunology for both the American College of Asthma and Immunology (ACAAI) and the American Academy of Allergy Asthma and Immunology (AAAI). As a way to give back to the community, she’s been an HIV community educator. At the Century Medical and Dental Center in Brooklyn, Dr. Kochin treats both children and adults with immune deficiencies, allergies and asthma. She commonly treats inflammation, rashes, itching, breathing problems and excessive mucus. Patient satisfaction drives her to exceed your expectations. When she’s not actively working with patients, she continues her research to keep up-to-date with the latest developments in her field. She speaks fluent English, French, Hebrew and Spanish. Make an appointment today with Dr. Kochin.